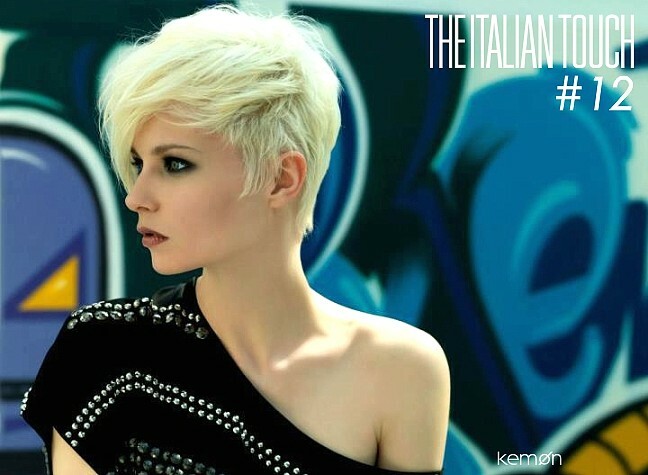 Hair Stylists: Pierre Baltieri, Massimo Berti, Nicola Giannetti, Angelo Labriola, Pawel Kaminski, Primoz Kersic, Luigi Martini, Fabrizio Pandolfi. Educational Hair Stylists: Pierre Balitieri, Massimo Berti, Angelo Labriola, Primoz Kersic. Colour Concept: Kemon Technical Team. Make-Up Artist: Fabrizio Bertoneri for Carlo Bay. Models: Inna T. @ La Senk - Milano. Colours and hair products by Kemon. � Copyright Jan.2009/July2010, design conception by DiCO Professional Welfare Solutions. All rights reserved.